I don’t know about you, but my day could always use a little injection of upbeat indie-pop perfection. 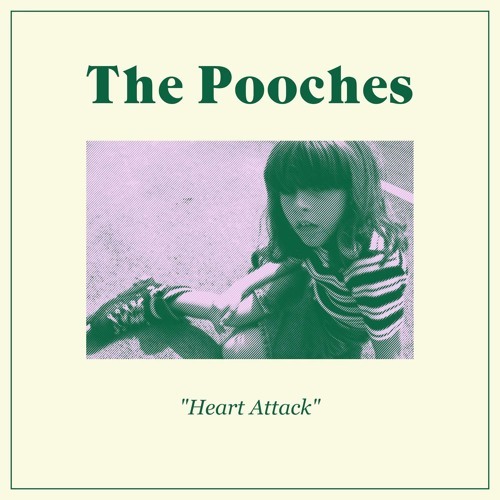 And my recommended solution comes in the form of debut EP Heart Attack by Glasgow band The Pooches. The EP’s four tracks are short and sweet, coming in at only eight and a half minutes in total, but each definitely holding it’s own worth. As Heart Attack shuffles along at a steady pace from one track to the next, it really spells out what The Pooches are all about. Cheerily whimsical lyrics underpin a subtle mix of styles, whilst retaining a distinctive and unique sound. The opening number and lead single, Heart Attack, sets the tone – starting with a relaxed vibe and soft guitar strums, the track gently builds up to a vibrant peak. Following on from this, Crabhammer has a slightly rockier feel, but without losing the quality that keeps it fresh. Pierre goes in quite a different direction, with sunny ska-like rhythms that make you want to dance along before final track Rhythm of the Rain introduces a simple sound reminiscent of a nursery rhyme, but tinged with a nostalgic feel which contrasts well with the story told of lost love. Rhythm of the Rain marks a strong finish, and rounds off the EP nicely. The short songs and playful vocals really make this release, with each song bringing something new and exciting to the fore. Not only did Heart Attack brighten my day, but it also marked out The Pooches as a band to watch. The Pooches – Heart Attack is out now via Lame-O Records and is available on download via Bandcamp and on tape via Gnar Tapes.